Another meeting, another MB Cigar Lady. This time we meet Tonya, let’s read the interview. I started smoking cigars 6 years ago. As a child I would always follow my grandfather around whenever he smoked a cigar or pipe. He would sit outside carving figurines out of wood while smoking his pipe. Or he would smoke his cigar and tell the most amazing outrageous stories I had ever heard. I fell in love with the smell. It stayed with me as I became an adult. I met a friend who took me to my first cigar shop I’ve been puffing ever since. I smoke any where from 1 to 4 smokes a day. It depends on how I’m moving during the course of the day. Sanjs Smoke shop in New Jersey is the best place I’ve smoked so far. I have some traveling to do. I use to use different cutters to cut my cigars, however now I use my teeth. 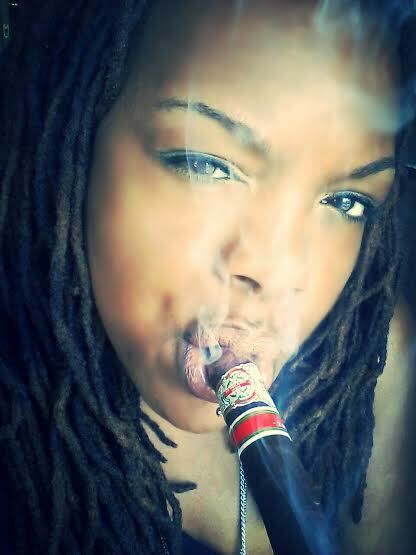 When I smoke cigars it just confirms how Woman I am for myself. I feel sexier and in total control. 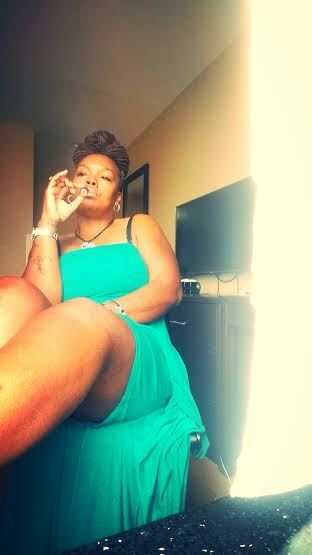 I light my first cigar for breakfast. It starts my day. I like to switch up a lot, however, right now the cigar for me would be Undercrown Gran Toro maduro. Thank you very much Tonya for your time, good ashes. 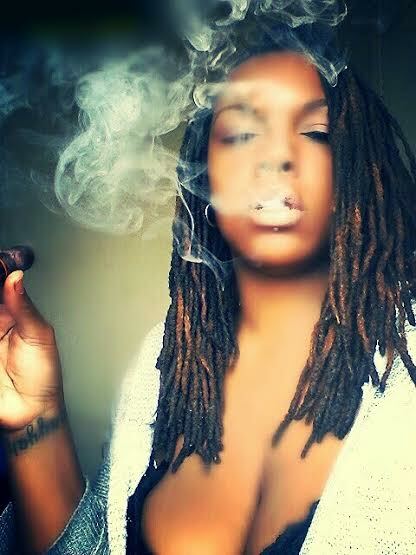 2 Responses to "“Tonya Early„"
Great job Tonya….I enjoy learning about how people got started smoking cigars and why they smoke cigars. Great interview…..Have a great one!